Today is a very special day. It is a day we honor all those babies born way too soon and very sick. The littlest fighters. Our heroes. Miracle babies. Today is World Prematurity Day 2017. 1 in 10 babies are born premature each year. These babies are born anytime before a full-term birth of 38 weeks. I honestly never thought I would be the mother to 1 in 10…well, actually 2. If you’ve read my blog before, you’ll know that my twins were born at 25 weeks, 5 days due to TTTS (Twin to Twin Transfusion Syndrome) and SIUGR (Selective Intrauterine Growth Restriction,) both conditions of the placenta. I had no idea what it meant to have a preemie or what to expect. To say that being a preemie mom has changed my life is an understatement. While I would never wish it on anyone or any baby, there are many things it has taught me. It has changed my outlook and perspective, and it has made me extremely grateful for so many things. 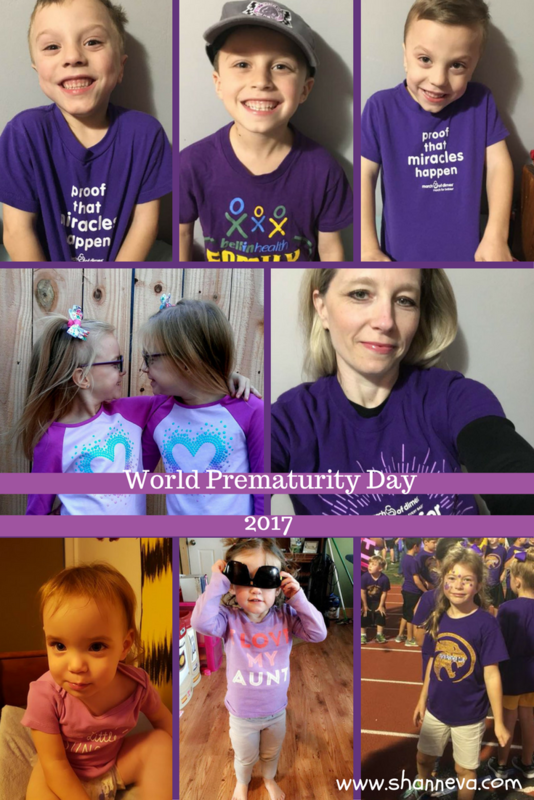 Today, on World Prematurity Day 2017, I’d like to share those things with you. Kangaroo care. Skin-to-skin was the best feeling in the World. An open air crib. Being able to just pick up my baby after months was just amazing. Actual clothes, instead of just a diaper. The first time you looked like a newborn to me. I gave birth to 2 of my heroes. I’ve never seen anyone so small be so strong. The beat every odd and proved doctors wrong. I learned that strangers can become the best support and friends. Members from Facebook support groups, fellow NICU parents, and friends of friends can all be connected from such an emotional experience. NICU nurses and doctors are amazing people, and I’m so glad I got to witness all they do. It really restored my faith that there are good people out in the World. Not only did they take care of my twins’ medical needs, but they held them, they talked to them, and they loved them when I couldn’t be there. My body is amazing. Even though it couldn’t keep them safe full-term, it kept them alive until the doctors could help. It also provided food for my babies as I pumped an entire year. My limits were tested every day, and every day I kept going. Sometimes, I didn’t even want to get out of bed in the morning, but I did it for my boys. They pushed me out of my comfort zone, and showed me that I am stronger than I feel. Hope is all around. I didn’t really notice it until I became a preemie mom. The stories I read and share every Monday on this blog inspire me, and humble me. Being a preemie mom has given me passion, drive, and determination to help such an important problem in the World. Had it not been for my boys, I never would have started this blog. It has brought me joy, purpose, and an outlet I never knew that I needed. Did I mention the people I’ve met?! Even though I’ve never met many of them in person, hearing their stories, watching them grow, and seeing them succeed brings me such happiness. Plus, it makes me feel like I’m not alone, and I hope I make them feel the same way. 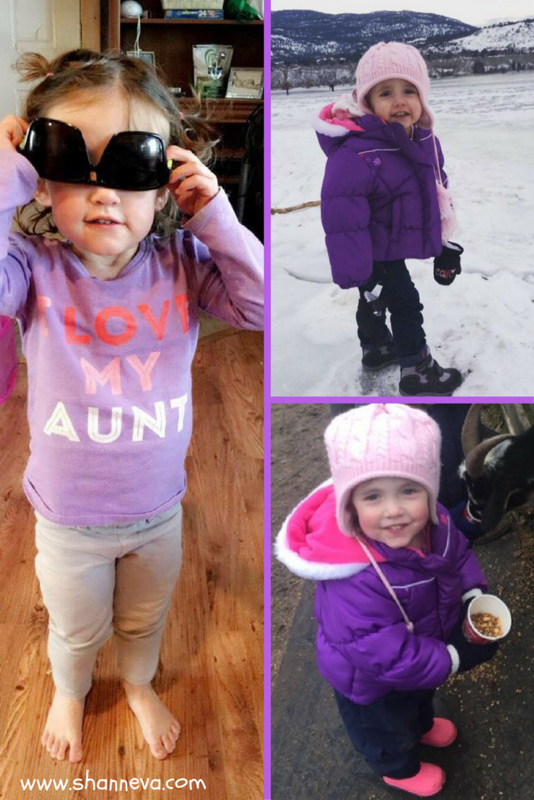 Here are just a few amazing Preemies wearing their purple and doing their part to raise awareness. Kyliana was born at just 31 weeks, weighing 3 lbs. Please read her story HERE. 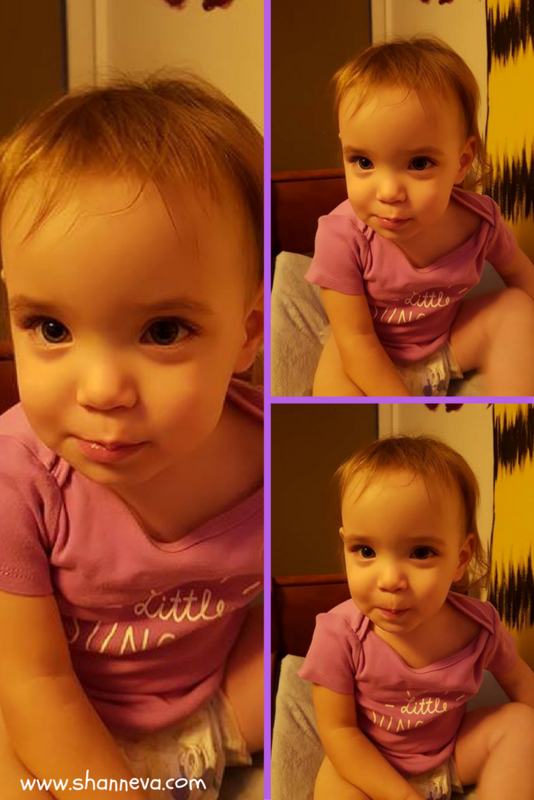 Fellow TTTS Survivor Mom Alysia shared these sweet pictures with me. Her boys were born at 33 weeks, Alex weighing 4 lbs 3 oz and Zach weighing 4 lbs 7 oz. 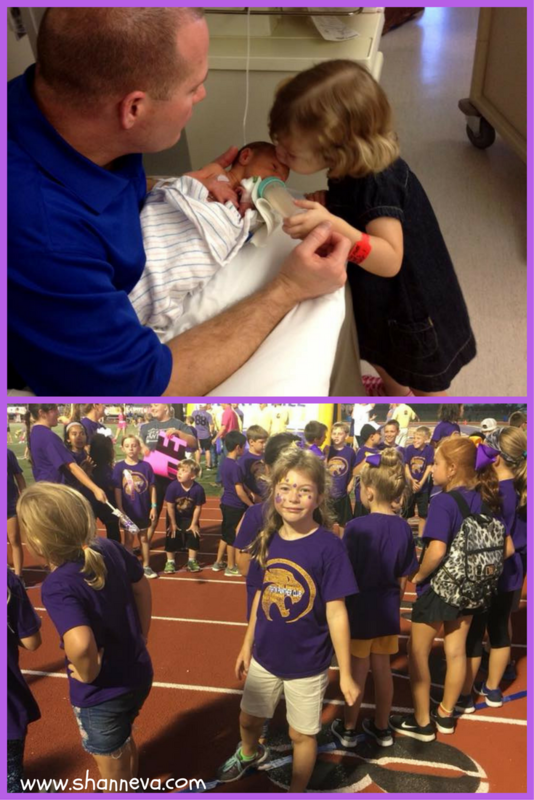 Here is their sister, Addison, when they were babies, and now, in a sea of purple at a Friday game in Texas. Scarlett was born at 27 weeks, 1 day. She weighed 2 lbs exactly. You can read her journey HERE. Not only are these next 2 identical twins, but they are TTTS survivors. I met their mom, Renee, through a Facebook group she started. She is a fantastic photographer, and took this picture of her sweet girls Peyton and Addison. They were born at just 28 weeks, Peyton weighing 2 lbs 7 oz and Addison weighing 1 lb 12 oz. Her NICU photos were also featured in this post. I think preemie parents are chosen for a special reason. It certainly isn’t easy, and sometimes it really seems impossible. Not being able to fight yourself, and watching your baby struggle is one of the hardest experiences of my life. You appreciate all the little milestones just as much as the big ones. And you fight, so that no one else has to be that strong. Please spread premature birth awareness today on World Prematurity Day 2017, and every day. I will keep fighting for my babies and every beautiful preemie I’ve had the privilege of getting to know these past 5 years. To learn more about TTTS/SIUGR, please click HERE. 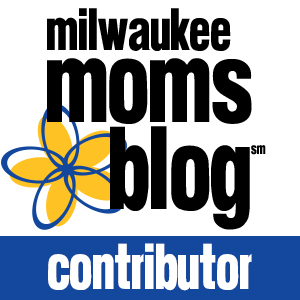 To learn about the March of Dimes, you can click HERE. To read more about premature birth, please click HERE, HERE, and HERE or search premature birth in the sidebar. Will you fight with me? Will you share this post? 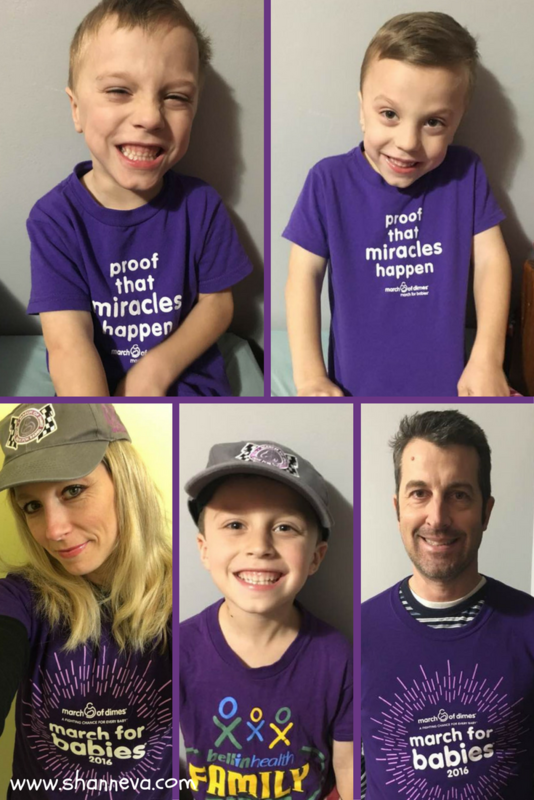 Look at all those cuties in purple for such an important cause! Love it! What a wonderful post! I’m 36 weeks right now but one of my coworkers just had their baby at 29 weeks. Thankfully everything went well! Little fighters, that’s for sure!! You’re boys are so cute! Beautiful post – and all those photos! I shared on twitter. you are a very strong person, but it sounds like it changed your life for the better. And I’m so glad you started your blog. I’m sure having preemies really makes you appreciate every little growth milestone! My nephew was born at 31 weeks and is such a little fighter! Yes! Exactly! Thank you Mariah! Look at all these cute little ones! It’s so important that we have people like you who continue to bring our attention to this cause. Awww, as a new mommy, I love this post! 🙂 Thanks for sharing! How wonderful to have a day to celebrate our smallest heroes!